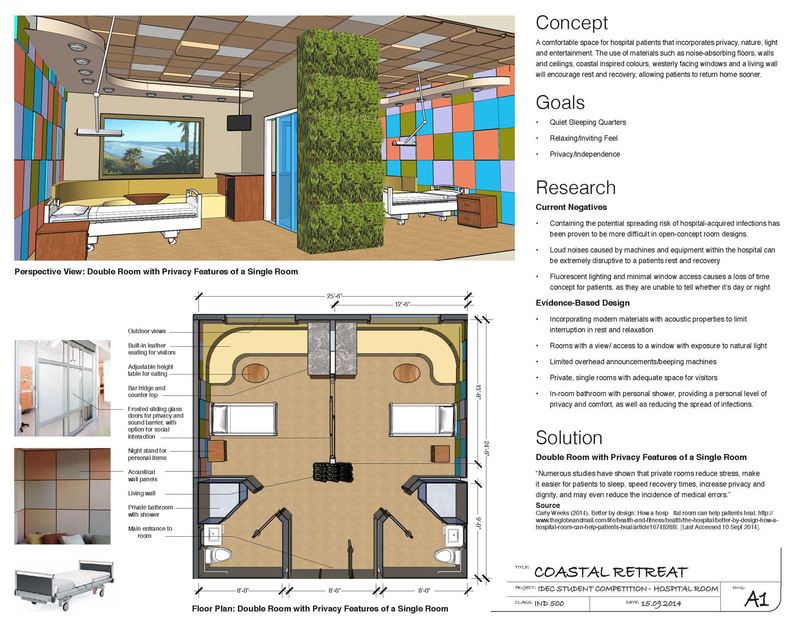 I teamed up with classmates Sara Matton and Victoria Young to create this submission for a healing space for the 2014 IDEC Student Competition. 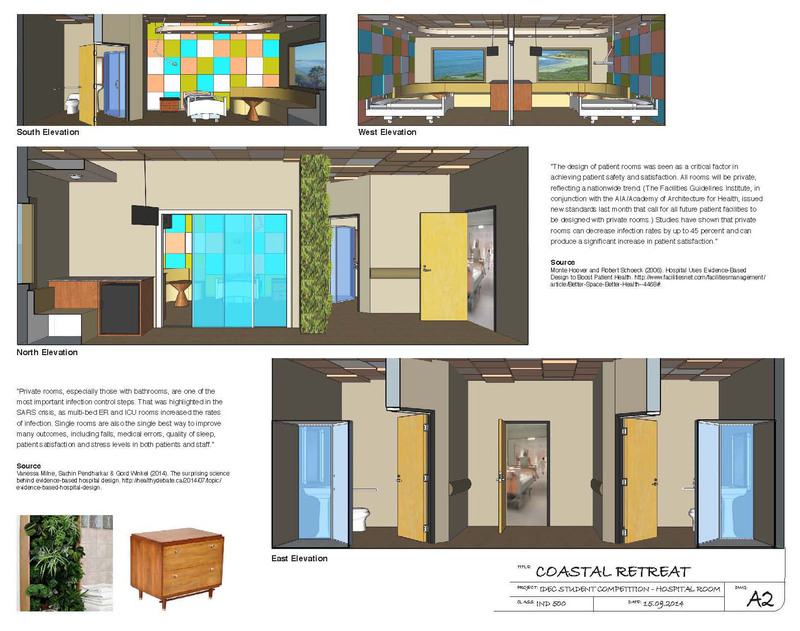 It is a double occupancy hospital room with single room privacy features and a coastal theme. The mission of The Interior Design Educators Council, Inc. is the advancement of interior design education, scholarship, and service.